This is a departure from the normal theme of this blog. All posts to-date have been based on pictures where I am proud of the photo itself, the subject matter, or both. Today, I just wanted share this little nugget of irony. 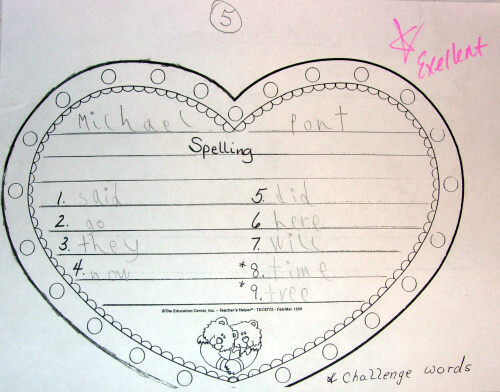 This is one of my son's first-grade spelling tests. There is one word on this test that is spelled incorrectly. But fortunately (or unfortunately? ), that word was not written by my son. What's next -- a history test that asks what color George Washington's white horse was and the answer is brown?